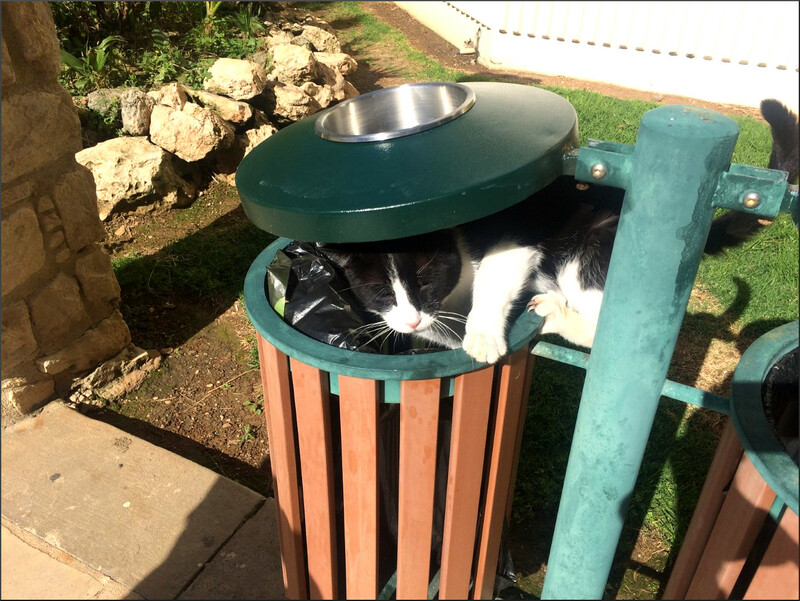 For those who like context I should explain that this feline dumpster diver was photographed by me in Limassol a few days ago. Like Greece, Morocco and other countries of the Mediterranean region, Cyprus has a large and enchanting feral cat population. They survive by a combination of scavenging and the generosity and care of local residents, plus being fed by food smuggled out of hotel dining rooms by people like me.